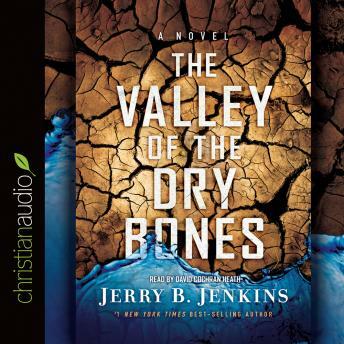 In The Valley of the Dry Bones, Jerry B. Jenkins overlays the ancient End Times prophecies of Ezekiel onto the landscape of modern California. After a 17-year drought, multiple earthquakes, and uncontrollable wildfires, the state is desolate. The United States President declares the state uninhabitable and irreparable, directing California's 39 million citizens to relocate. From the air, California looks like a vast abandoned sand box, but to a few groups of people, it's their home. With less than 1% of the population remaining in California at their own risk, the holdouts encounter a clash of cultures, ethnicities, religions, and politics that pits friend against friend with the future of California at stake.